It’s Leap Year Houston! Some know it as Leap Year and some call it Leap Day — which one is it? Well, to those who celebrate their birthday on this day in the City of Houston to them it’s known as leap year, the 29th of February. The next leap year will come again after another 4 years. Leap Year is the addition of one more day in the calendar after 4 years and makes the day very special to many. Various traditions have different beliefs on leap year. The Bayou City has many ways to help you celebrate if you happen to be one of the lucky few who were born this day/year. But for everyone February 29th of every four years is known as Leap Year and for many it has a very much different meaning but for some it’s just another day. Without the addition of Leap Days, the calendar would be off by 24 days within 100 years which explains the method for the scientific madness. 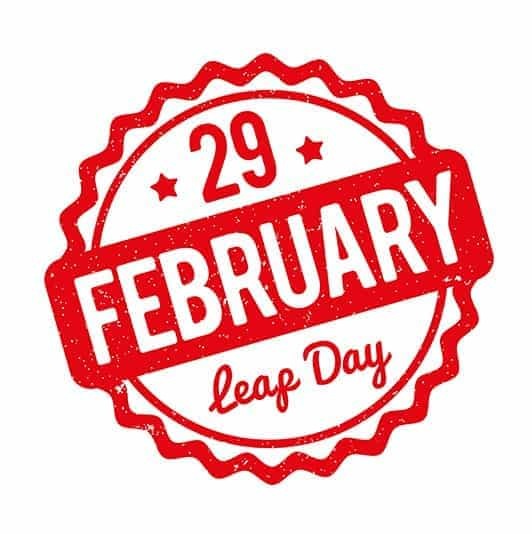 Here are two exciting fun facts about Leap Year that are celebrated still to this day one in particular has been celebrated for many centuries. Historically, Feb. 29 is the one day of the year where women can traditionally propose marriage to a male companion. While we don’t know the exact history of the strange tradition, many speculate the tradition began in the 5th century in Ireland when St. Bridget complained to St. Patrick of the unfairness that women had to wait for men to propose. St. Patrick gave in to St. Bridget’s wishes and set aside Feb. 29 as the one day when women could ask for a man’s hand in marriage. The chance of being born on Leap Day is 1 in 1,461. Sadly, Leapers or leaplings, the nickname attributed to those born on Leap Day, only celebrate their birthday every four years. The leaplings may celebrate their birthday on Feb. 28 or Mar. 1 instead, but most states in the U.S. will only legally recognize the person as their next age on Mar. 1 of the year. If you’re lucky to be a Leapling there are some awesome food and drink deals and specials around town today. Leap year babies celebrating should take advantage of and be ready to prove it’s your birthday with some form of ID. Here is a list of where it’s popping this Leap Year in Houston.